Let’s be honest, moving is stressful. From packing up all your belongings and transporting them to a new destination, just to unpack, re-decorate and organize everything, we understand that the entire process is utterly exhausting. A new home calls for celebration. Whether you’re a next-door neighbor, a best friend, or a family member, remember to show your excitement for this momentous time with a thoughtful housewarming gift that they’ll utilize for years to come. We’ve compiled a list of our favorite gifts for every type of new homeowner. Whether they’re always curled up on the couch or cooking a culinary masterpiece, scroll to find a unique housewarming gift that fits your friend or family member’s personality and style. Truth is, you can never have too many bottle openers. 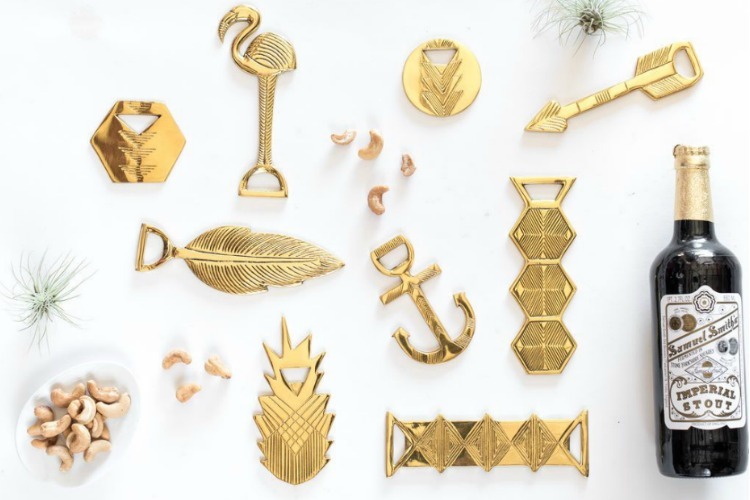 These brass bottle openers from Zestt are a particularly unique and inexpensive housewarming gift for the friend who likes to have fun. Opening bottles at get-togethers will be achieved with added style. These bottle openers will most definitely add an extra flair to any bar setup. Pineapples symbolize warmth, welcome, friendship and hospitality, all key elements we desire for our home. 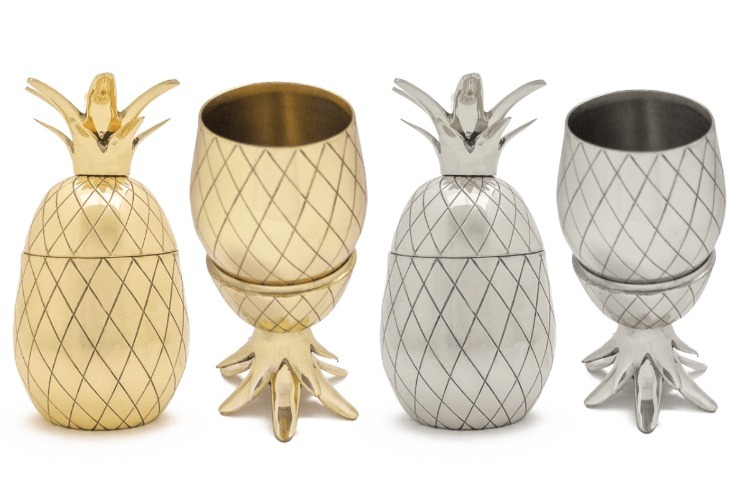 So naturally, we think that the W&P Design Pineapple Tumbler is the ultimate housewarming gift. The two-piece brass tumbler is an exceptional serving piece for a well-crafted cocktail or drink of any kind. It is available in gold, copper, and silver plated metal, is handmade and hand wash only. Be sure to check out W&P Design's full collection of barware and other fun gift ideas. Known for original designs and unique products for the home, Reed Wilson is a Detroit based designer. By emphasizing quirky and fun elements to every piece, you can be sure that your gift is distinctive, as well as practical. 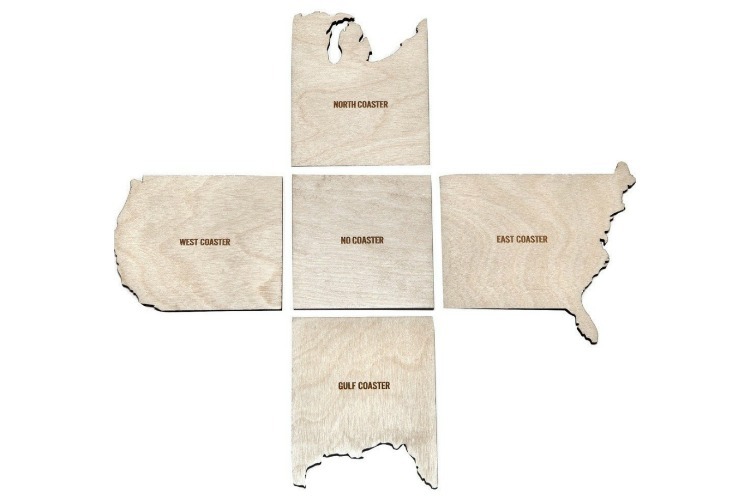 The East Coaster, West Coaster, North Coaster, Gulf Coaster, and No Coaster is perfect for the avid traveler or host who likes to entertain friends and family from all areas of the United States. Because parties and get-togethers usually require an abundance of dinnerware, this unique set of small plates from Kihara is the ultimate gift for anyone who appreciates a modern take on tradition. 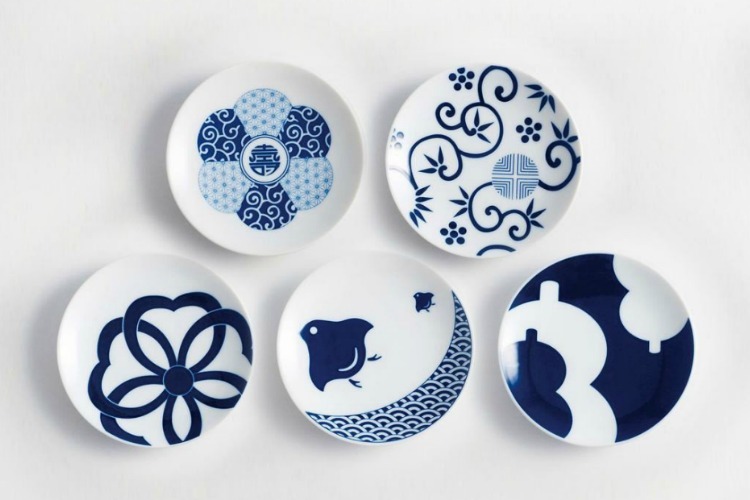 Kihara, a Japanese porcelain producing company, focuses on creating modern designs that honor the history of Japan. Perfect for dessert or appetizers, these plates are sure to add a more interesting element to any table setting. Plates are both microwave and dishwasher safe. Providing a reasonable use in almost everybody’s home, a new coffee maker is a great way to say congratulations. This Pour Over Glass Coffee Maker from Eva Solo is both dishwasher-safe and environmentally friendly. With a stainless-steel filter that can be used every time, paper filters are no longer needed. 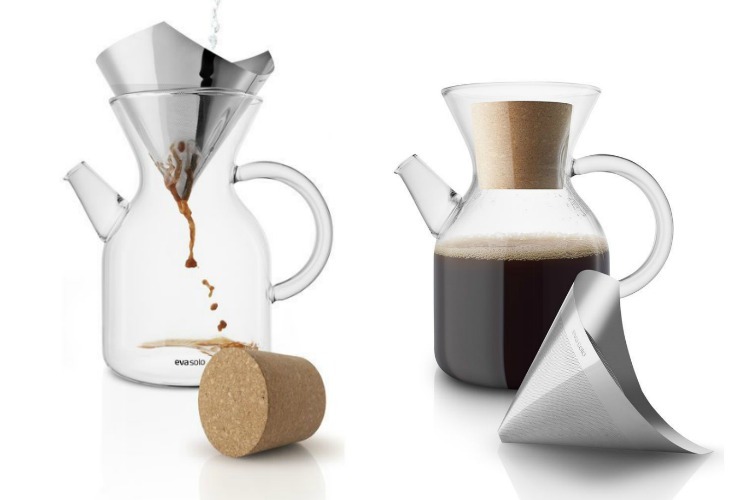 Ultimately, this improved design brews coffee in a traditional way, where water and beans are slowly filtered to bring out the best flavor possible. 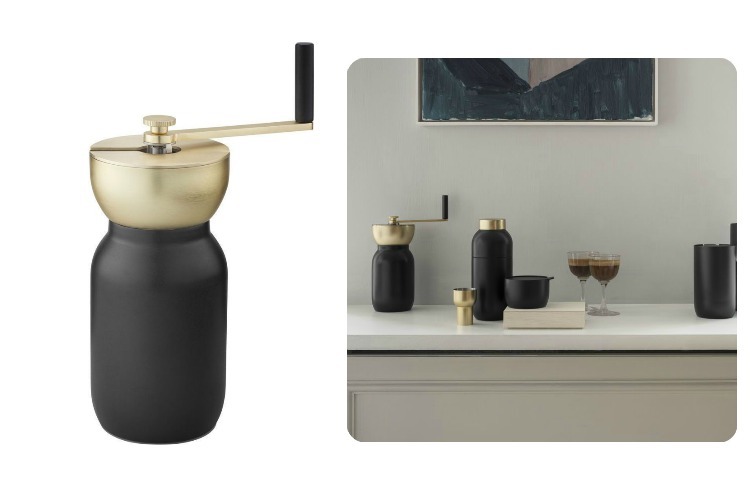 Designed with the modern beverage aficionado in mind, the Collar Steel Coffee Grinder from Shelton allows one to grind down fresh coffee beans; an essential process for capturing the characteristic aromatic nature of an espresso brew. Even for someone who has never considered using a grinder, the noticeable difference in the taste of coffee is bound to change their daily coffee making routine. 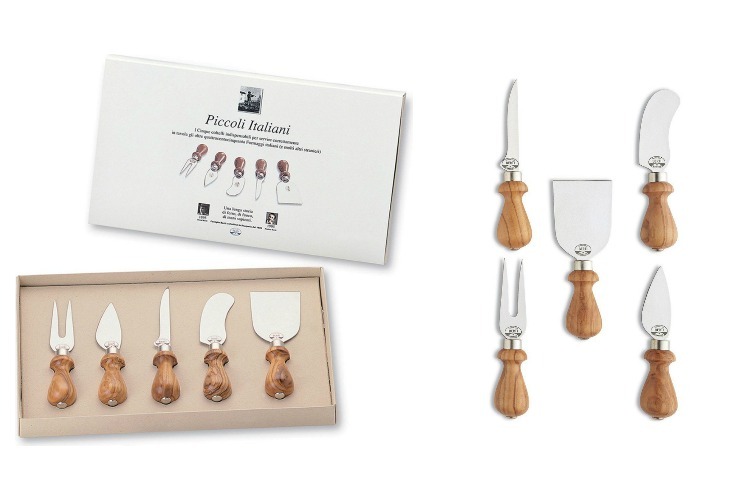 Handmade in Italy by a skilled artisan, the 5 piece Coltellerie Berti Italiani Cheese Knife Set is a great gift idea for the cheese connoisseur or simply anyone who likes eating fancily. With all knives featuring olive wood handles, this classic set makes enjoying cheeses a full-on decadent experience. And because Coltellerie Berti has emphasized tradition since 1895, you can expect outstanding long-lasting quality and enjoyment for many years to come. A new kitchen calls for new cooking inspiration. 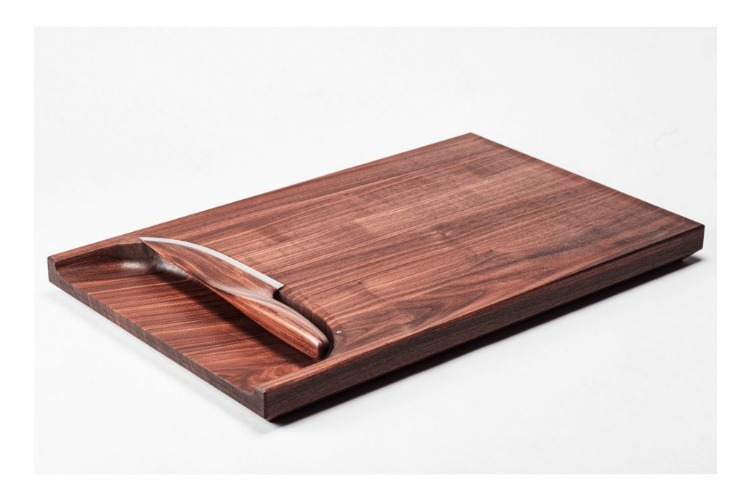 Help them upgrade their current cutting board with this beautiful walnut cutting board from Lignum. Crafted in Germany, this chef’s dream board is sustainably sourced and produced. It also includes a milled shell on the board’s outer edge that acts as a storage place for clippings and trimmings and as a magnetic attachment for the Skid Wooden Kitchen Knife. Preparing a culinary masterpiece will certainly be a more sensational experience with Lignum. 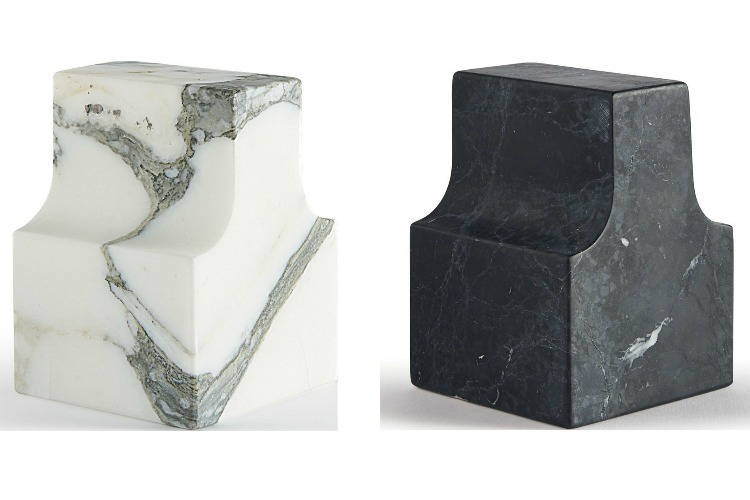 For the new homeowner who is bound to spend a lot of time in their new home office, the Atipico Classico Marble Paperweight would make a sophisticated addition to any desk. At approximately three pounds in weight, this marble paperweight is crafted with upward facing curves that make movement and manipulation a breeze. Long work days will automatically be less boring just by adding interesting decorative pieces to an office room. Because a large clock is definitely not going to be the first thing your friend or loved one is going to think about purchasing when setting up their new home office, gift them with a simple yet elegant clock from Camino. 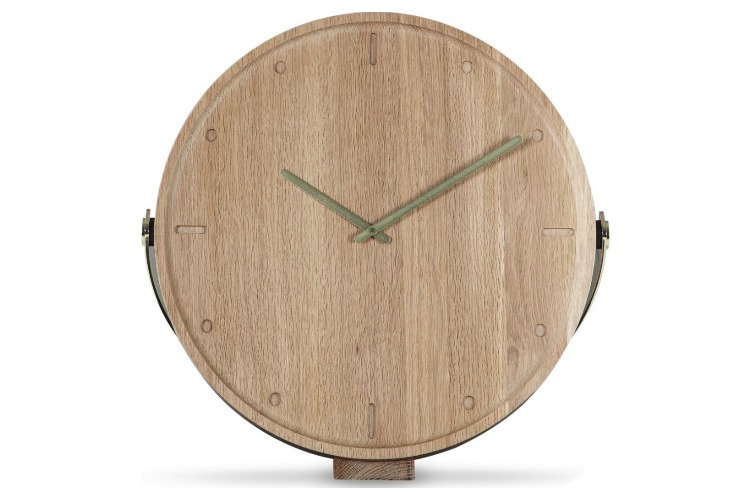 Complete with a solid oak dial, plated hands, plated steel rail, and a solid oak stand, the Clara Clock is functional and stylish. Depending on space, they can hang the clock on the wall or simply use the stand to prop it up on a shelf. Time-keeping without relying on distractions from technology is bound to show better work results. Decorating is a daunting and expensive task, so why not show your excitement for a new homeowner by giving them a decorative pillow? 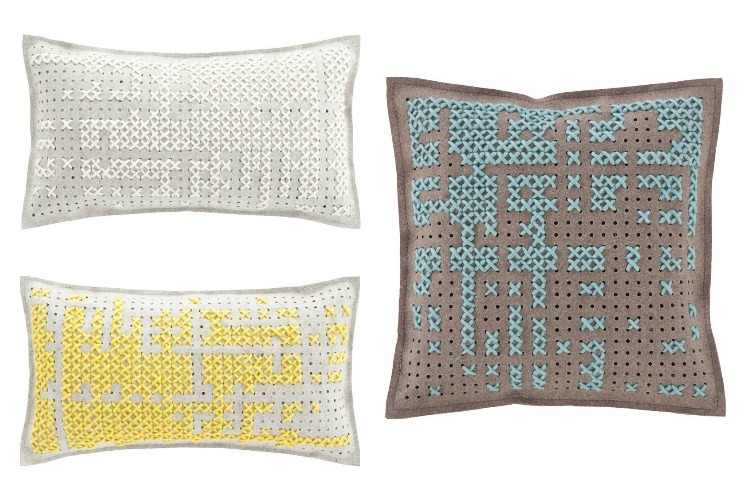 Gan's Canevas collection seeks to capture a striking contemporary aesthetic using the simple honesty of a cross stitch, bringing a sense of balance, quality, and attention to detail to any interior space. With an array of color combinations to choose from, match their style and color preferences, or simply stick to a neutral toned pillow. When curling up on a new couch, watching your favorite movie in your new home, you’ll want to be as comfortable as possible. That’s why we think the Zuzunaga Cotton Throw Blanket is a practical housewarming gift for anyone who loves being cozy and craves fun prints and colors in their home. 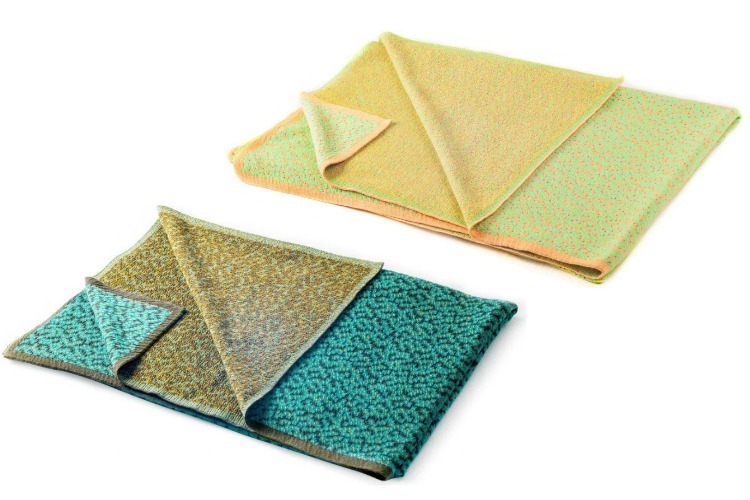 This bright pixel blanket uses an ultra-plush cotton blend, with a hint of nylon, for a gentle stretch effect. The collection starts with images of urban landscapes and zooms in hundreds of times until only a pixelated compression remains. Each Bitmap Throw Blanket is knitted using a jacquard technique in Spain and is sure to look amazing in any home.